Mary’s topic will be “Love Your Mother” – On this Sunday between Earth Day and Mother’s Day, we explore our 7th UU principle, “Respect for the interdependent web of life, of which we are part” (and to which we are accountable): Indra’s net. The Great Mother. And Father. And Friend. And Self. The Beloved. Service led by Rev. Mary Grigolia. Stay for lunch and a mini-workshop, exploring the many facets of experience with the great web. Unitarian Universalist Fellow­ship of the Firelands, meeting in the lower level of First Congregational Church, 431 Columbus at 10:30 a.m. Children’s Religious Education available. Enter through glass doors at rear of church and take elevator down. A liberal religion that embraces diversity. This week, Rob Smith’s topic is “Why Religion Matters”. He will discuss the functions of religion particularly on the transformation of culture. Our presentation this coming Sunday, April 20, will be a DVD interview of Margaret Atwood from Bill Moyers’s series on FAITH & REASON. Atwood is a Canadian author of such classics as The Handmaid’s Tale, The Edible Woman and The Blind Assassin. 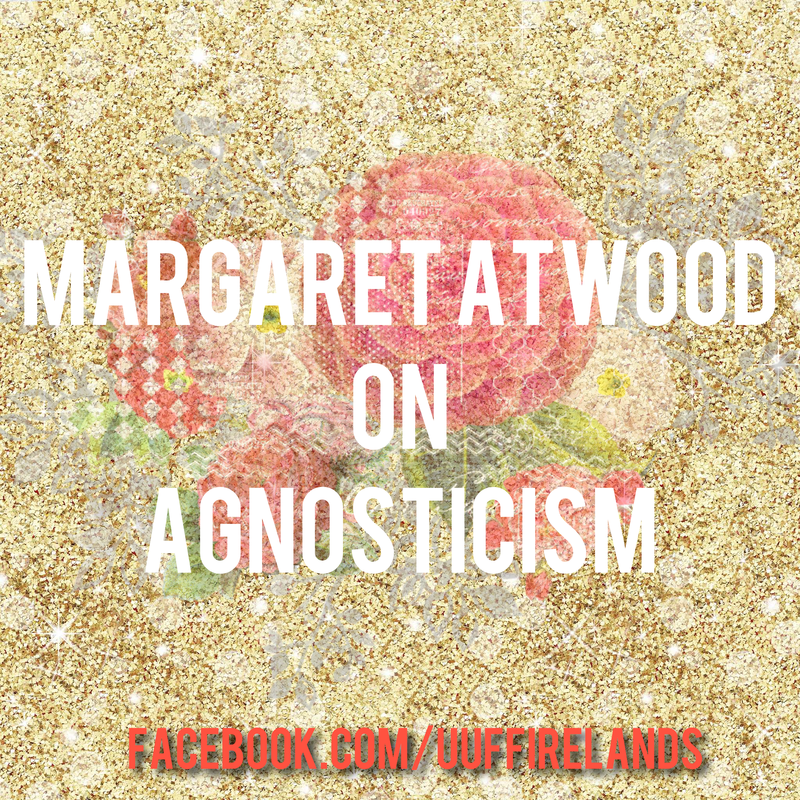 She will talk with Moyers about agnosticism, the hunger for meaning and the distinction between belief and knowledge. Unitarian Universalist Fellow­ship of the Firelands, meeting in the lower level of First Congregational Church, 431 Columbus Ave., Sandusky. Jon Carver will present “The Future Success of the U.S., Part 2” at 10:30 a.m. Children’s Religious Education available. Enter through glass doors at rear of church and take elevator down. A liberal religion that embraces diversity.